In the world of luxury, presentation is key and we share your desire to keep jewellery in pristine condition, whether it is being worn or kept safe at home. Whether you are buying it as a gift or for your own enjoyment, we know that jewellery is even more appealing when it is presented well. 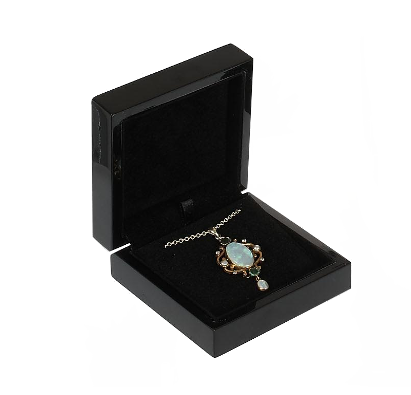 For this reason, we send out all items in a high quality jewellery box that will protect your jewellery on its journey to your home and beyond.